Watches with Tritium Lume, or Gas Tritium Light Sources (GTLS) are awe inspiring awesome. Although I don’t think they are for everyone. There are some major limitations in the life span of those tritium vials. So the watches are great for anyone who works primarily at night, or in low light conditions. Or if you are an avid diver, and are in the water at least once a wekk. Otherwise you may not get the most out of your investment. Over the last week, I noticed a new review of a watch that has some of the brightest Tritium lume around. It’s a collaboration between Armorlite x Massdrop. I believe it’s called the Ember T100. So I’ve seen a spike in interest over this last week. Unfrotunately I’ve noticed a lot of confusion as well. On how these work, and how long they last. So while I’ve never owned a watch with Tritium lume, my background is in Chemistry. Thus I have a firm understanding of the science behind it. 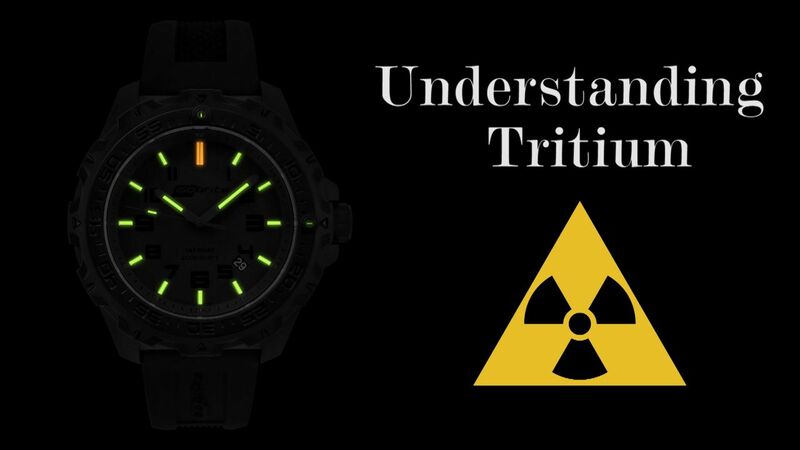 So I thought I should put together a mini 10 minute lecture on everything you need to know about Tritium before looking at one of these watches. I mention in the video as well, that watches arent the only application that use these tubes. The other major one is in iron sights for fire arms. Also called night sights. Same technology, and the same questions and concerns apply to both.